DSTV is by far the best Satellite cable TV service in South Africa which also cuts across the whole African continent. This post contains current new DSTV South Africa packages price list for 2018. 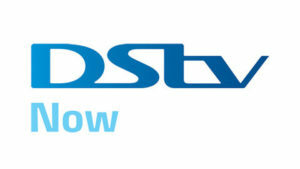 DSTV South Africa services are controlled by Multichoice and offer one of the cheapest subscriptions in South Africa. HD channels, HD PVR decoders, and DSTV mobile TV service are just some few services added for DSTV by Multichoice. Also for sports lovers, the DSTV Compact Plus package added by Multichoice can come in handy. It is a cheaper option for those who love watching sports. The DSTV Compact Plus package shows 90% Premier league matches, Spanish La Liga, Bundesliga, covers an array of sports, and loads of channels which are available in this DSTV Compact bouquet. With this current DSTV South Africa packages new price list for 2018, The DSTV Compact Plus package goes for a monthly price of R509 only. There is also the new DSTV Explora which was recently added into the bouquet offered by DSTV. Important for sports lovers. DSTV did not show the community shield game between Chelsea and Man City. They will not also air FA cup matches because they don’t have the right to do so. Before I continue with the review of the different DSTV packages in South Africa, you should know that you can now manage your monthly bouquet subscription with the DSTV online Subscription services anywhere in South Africa with the internet or a mobile phone.DSTV also used the opportunity to list the competitions they have rights to in the 2018/2019 season. “Dear esteemed subscribers, we don’t have rights to air the FA Cup & Community Shield this year but you can enjoy pulsating football action from the #PL, #UCL, #LaLiga & the recently added Italian #SerieA and Uefa Nations League. Thanks for choosing DStv,” the post read. The initial access charge for DSTV is usually varied across countries. Sometimes depending on your location, this initial charge will cover the cost of the satellite dish, cables, DSTV decoder and other installation charges with a 3 months subscription access. Over 55 TV channels which are mostly local and international TV channels are offered in the DSTV Access bouquet. Local channels in South Africa and International channels like Africa Magic, Aljazeera, SuperSport BLITZ, E Entertainment, etc are also offered on DSTV Access bouquet. Channels like SkyNews, CNN and Bloomberg channels are not available as when writing this post. As the name implies, DStv Family bouquet was created with the family in mind. Often known to be the most popular DSTV package in South African homes, It gives you access to all DSTV Access channels with other additional channels such as Euro News, CNN, Mnet Series, Cartoon Network for kids, Channel O, Africa Magic, ESPN Classic with over 55 digital TV channels in this package. Note that HD channels are not included in the DSTV Family package. DSTV Family also offers around 20 available Audio services which include: Power FM, Pretoria FM, Jozi FM, Link FM,etc. DSTV Compact Plus bouquet gives you all DSTV Compact channels with two sports channels as an addition. This sports channels include SuperSport 7 and SuperSport 10. This package offer Sport lovers wider access to different kinds of premium sports against the expensive DSTV Premium bouquet. Sports like basketball, golf, tennis, motorsport, Spanish La Liga e.t.c are available for those who subscribed to the DStv Compact bouquet. You would also be able to watch 90% of the English Premier League matches if you are an English football lover. DSTV Premium package is the full package that gives you access to all available DSTV SD/HD video, and all audio channels. This particular package is the best as channels exclusive to DStv Premium package are Mnet Movies 1 & 2, History Channel, SuperSport 3, Discovery channel, Boomerang, and all HD channels, and much more. You also get a DSTV Mobile+ free package for subscribing for this package as long as you have a DSTV Drifta decoder. How much is the new DSTV Explora in South Africa price 2018? Buy a DStv Explora and subscribe to DStv Premium or DStv Compact and you won’t have to pay a price increase for 24 months. Below are the available DSTV decoder options, their prices and the different packages they work with. Now that we know about the decoder packages, let’s dive into the subscription packages. This is the highest priced DSTV package as well as the most complete. The premium bouquet provides full access to 148 channels at R809. The channels fall into several categories, however, the most popular are the documentary, sports, entertainment, news and children categories. If you’re looking to see the channels available on offer with this premium package, you will find the most popular categories and their exciting channels in the list below. Other categories include the specialist category which comes with 11 channels, religion with 9 channels, audio with 46 channels, local TV with 11 channels as well as lifestyle and culture with 6 channels. These bouquets provide exciting channels for your pleasure all day long. The Compact Plus is the more expensive of the two and it cost R509 per month. On the other hand, the Compact Bouquet cost R385 per monthly subscription. With self service, you can pay for & manage subscription and fix error codes from the comfort of your home. Was watching Dstv and then it stopped. It won’t scan. This is secondary decoder. Help. Hi, I can’t understand why there is not a list anymore like in the old days where you van view all packages and the channels which is marked with a right and a wrong. I need to down grade not because I want to, but because I have to. So I need to downgrade from compact + to or access or to family but I need to still be able to record.